They say the house reflects a person’s personality. So what’s a house without a color? Isn’t it frustrating to see a house that is colorless or unfinished due to lack of ideas when it comes to color combination or even area designs? 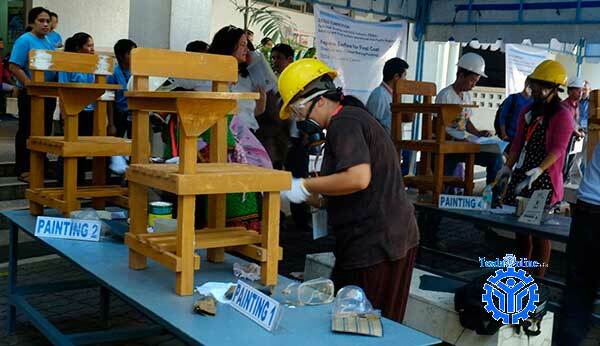 Learn how to paint wood, concrete, and metal by checking out one of the newest short TESDA courses in the Philippines: Construction Painting NC II. This will help us improve the overall appearance of our house, advance the facilities and make use of tools, materials, and equipment to their fullest extent. Check out this short courses of TESDA and be amazed of the countless of ideas and competencies that you may acquire from enrolling in this short course. The hours allotted for Construction Painting NC II takes a minimum of 126 hours to accomplish. Those who are qualified graduates of Construction Painting may find employment as a building & House painter. This is one of the in demand jobs abroad with high salary. Those who are enrolled in the short course: Construction Painting NC II may be required to undergo a competency assessment before graduation and is applicable to any of the courses you would enroll at. A National Certificate or NC II shall be issued to those will pass this assessment. Accurate and more detailed information about the Assessment and Certification.